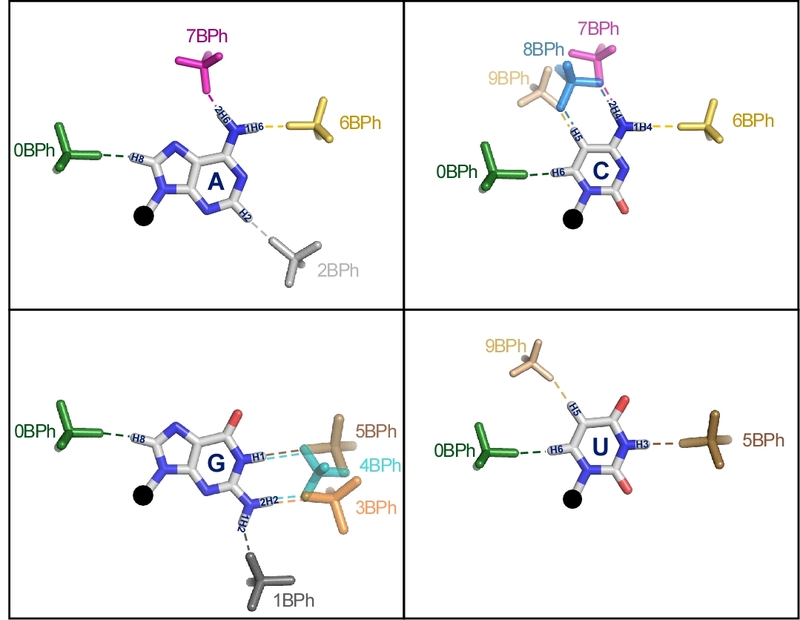 Proposed nomenclature for BPh interactions and superpositions of idealized BPh interactions observed in RNA 3D crystal structures for each base. H-bonds are indicated with dashed lines. BPh categories are numbered 0 to 9, starting at the H6 (pyrimidine) or H8 (purine) base positions. BPh interactions that involve equivalent functional groups on different bases are grouped together, i.e. 0BPh (A,C,G,U) 5BPh (G,U), 6BPh (A,C), 7BPh (A,C) and 9BPh (C,U).